In the earlier days of gaming, licensed games were widely seen as they are now: quick cash grabs for the uninitiated masses to be scorned by true gamers. 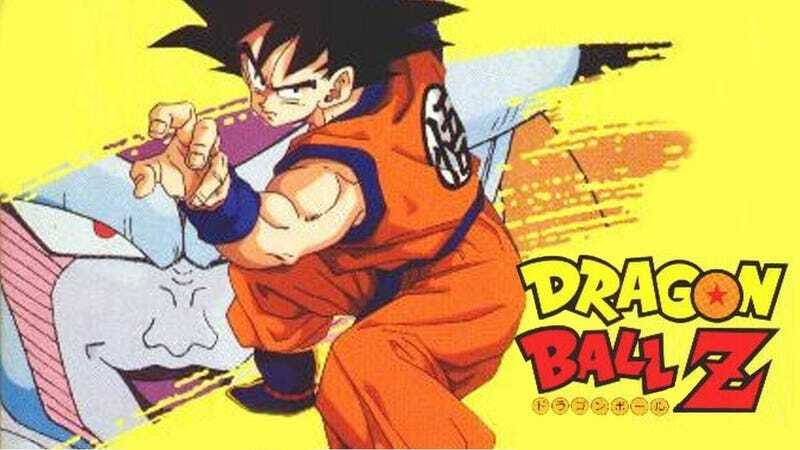 As one of the largest media franchises, game companies were quick to see the potential in Dragon Ball. First released as two games for the original Famicom, it wouldn’t be until the two halves were united on one cartridge and ported to the Super Famicom that one of the best RPGs of its era would be born. First and foremost this is a game for fans of Dragon Ball Z as the game is a relatively faithful adaptation of the first two Sagas of the series: the Saiyan and Freiza Sagas. In fact, the game starts right at episode one as Raditz steals Gohan and Goku and Piccolo are forced to find the missing child and fight the new threat. There are transformations in this game too. Of course, being an SNES RPG, there are random encounters, stats, and systems. The random enemies depend on the stage but for the Saiyan Saga they mostly serve as colour swapped Saibamen that Raditz brought. Furthermore depending on how much you level up Raditz (and even Nappa after him) the game can be a quite easy affair. This is due to one of the key systems in both the series and the game: the Zenkai Boost. If a Saiyan’s health drops to between 1-5 and is fully healed by a Healing Item, they get an automatic level up. Early on I discovered you could use this to boost Goku to Power Levels unimaginable in the early series. By the time Goku died at the end of the stage his power level had already reached 3800, only 200 less than Nappa. This of course is a little bit of series fanservice as these “Power Levels” actually mean nothing. What matters, like all RPGs from the era, are the underlying strength, speed, endurance, and all the classic perimeters that in this game are hidden. However Power Level is a good gauge to check who is the strongest and weakest in your party. Another interesting feature for the fans is the sort of what if scenario it presents. As depending on how well you do against the Saiyans, only plot required deaths (Piccolo) may actually happen. In fact in my game I saved everyone possible - including Chiaotzu and Yamcha. By doing this you can track all the fighters in a semi-canon way, as until the Freiza fight all power levels stay consistent with the Daizenshuu rating at which point power levels, like in the series, become useless. Freiza, for example, has a Power Level of 5,000,000 in his perfect form when actually that is closer to 150,000,000 in the official story. Also if you are wondering based on this semi-canon estimation of the Z Fighters power levels during the time of the Namek Saga the hierarchy is as follows: Goku, Vegeta, Piccolo, Gohan, Tien, Krillin, Yamcha, then Chiaotzu. Funny enough Chiaotzu who even if you keep leveling up, quickly becomes so worthless his only point in the late game is to die. That is because somebody still needs to die for Goku to trigger the Super Saiyan transformation. That’s right Chiaotzu becomes little more then Super Saiyan fodder. I mean I wasn’t killing Krillin, the dude has it rough enough already. While all this is pretty standard for gaming today, where Super Saiya Densetsu shows its age is in the so quintessentially Japanese Card Battle System. While a turn based system you control your characters with a hand of cards that carry over from battle to battle. Each card has an attack and defense value, controlling how hard you hit and get hit in turn as represented by the stars of the seven Dragon Balls and a Z marking the ultimate level. This creates a level of strategy you don’t often see in turn based games as the choice is often between: do I go for a huge hit of play it safe. Furthermore only one type of card, coloured blue, actually allows you to use your Ki Attacks, which are governed by MP Dragon Quest/Final Fantasy style. Due to the fact you don’t control what cards you get, when you use one you have almost a hand building mini-game in each encounter. I found myself hoarding Blue Ki cards in case I ever stumbled upon a tough boss - especially in the Namek Saga where the game takes a frightening difficulty spike. Which brings me to one the more annoying aspects of the series as a whole—once Goku shows up everything is just easier. 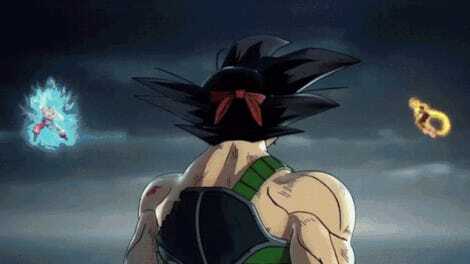 With the exception of the Vegeta v. Goku fight on Earth where Vegeta will ALWAYS be stronger than you no matter what you do, Goku on Namek is a wreaking machine. It’s clear why Toriyama sidelined him for the majority of the story arc as he’s just too damn good. All around Super Saiya Densetsu is a lot of fun and is still playable even now. It’s actually so playable as a 12 year old I was able to understand and complete the game despite it being completely in Japanese and not understanding a word of the text. This is because the context clues of the game are so strong, something a lot of games today could learn. Furthermore the game follows so close to the anime as a fan you should be able to guess what you are supposed to do next. As such it remains the best adaptation of an anime into a RPG I have ever played to this day. Where it took the main story, distilled the essense of what made the series work, and actually turned it into a fun game. It is just a shame so few people have ever had the chance to actually play it. 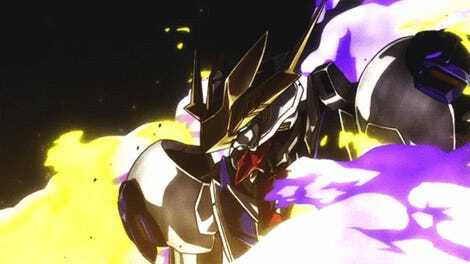 If you want too see more of my anime related content check it out below.